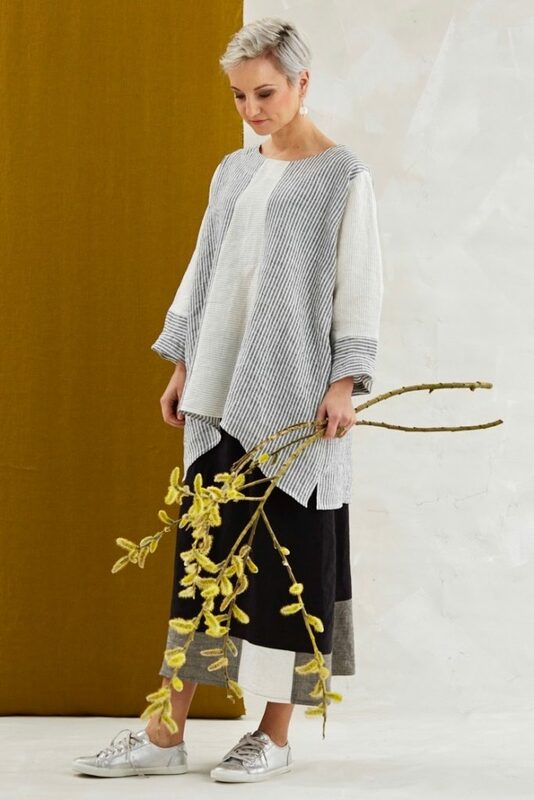 Terry Macey and Angelika Elsebach design and make unique, stylish clothes for women in their Chapel Studio in Somerset, using only carefully sourced natural fabrics;predominantly Irish linen, English wools, Donegal and Scottish tweeds. Attention to detail and finish of each garment is a trademark, but perhaps most important of all, they design for women of every age, shape and size. They work closely with their clients to provide personal fittings and bespoke outfits when required, either in their Studio workshop or at the various Designer Craft exhibitions they take part in throughout the year. After nearly 28 years of business the range of designs is extensive and while new styles are created each year, many of their designs have become iconic classics and are as popular today as when first created.